The purpose of visiting institutions is to bring live music to people who would otherwise not be able to enjoy it. 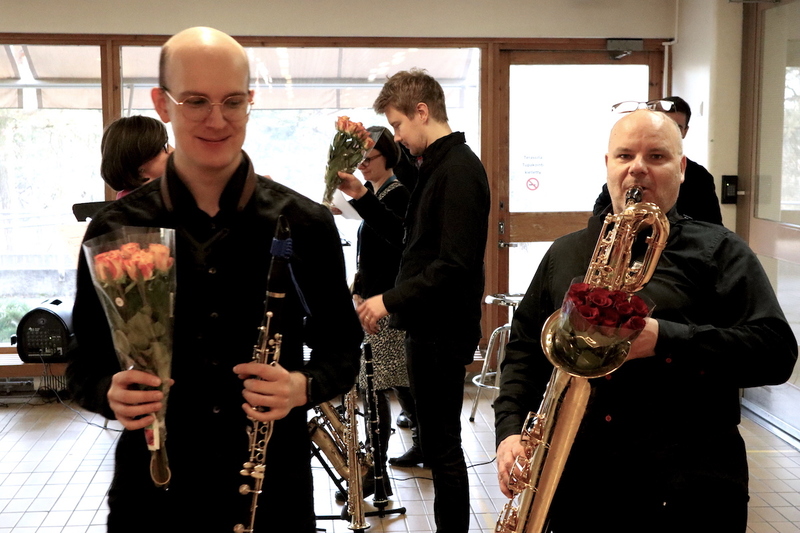 Institutional visits take UMO Helsinki Jazz Orchestra to old people’s homes, hospitals and service housing for the elderly. UMO Helsinki is available for institutional visits in the Greater Helsinki area by agreement, and elsewhere in the country too when on tour. A typical concert lasts about 30 to 40 minutes and is free of charge for the hosts, although the hosts are welcome to make a voluntary donation towards the orchestra’s expenses. UMO always performs acoustically at institutions, with no electronic amplification.